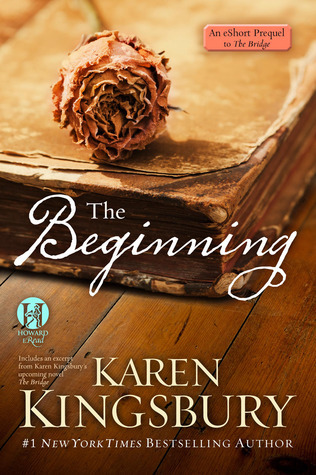 Karen Kingsbury delivers an instant classic with this heartwarming Christmas story about a hundred-year flood, lost love, and the beauty of enduring friendships. Molly Allen lives alone in Portland, but she left her heart back in Tennessee with a man she walked away from five years ago. They had a rare sort of love she hasn’t found since. "The truth is, I would do anything for you, sir. Anything that was right." These words from Jane Eyre seem so beautiful to me now. I can only imagine that it was this literary quote which inspired Kingsbury to write The Bridge. (Just a hunch of mine.) Because the rest of her plot would feel so empty without being able to hinge off those beautiful words. Ah... (sigh of happiness). This is a story about second chances -- about the God of second chances. I love, love, love how much faith and spiritual encouragement is inside of this book. It's there; you can't miss it. Also, in the midst of grief, shattering dreams, and fond-but-distant-memories for these memorable characters, we find a lovely storybook-fairytale romance. It's epic. To make it even better, the driving force of their love is books. It pushes these two young lovers closer and closer... if only they could ever acknowledge it and recognize the powerful bond they share. Note to the discerning reader and parents: I qualify this as a clean read. It's adult fiction, but there's no reason that teenagers couldn't read it. I have a note to share (next), but I could even see that some mature 12-year-olds would enjoy the story. To further discuss what's in the content, I only want to mention that one character becomes depressed, expresses suicidal thoughts and behavior, and also may have "voices" in their head. These elements aren't showcased very deep though. 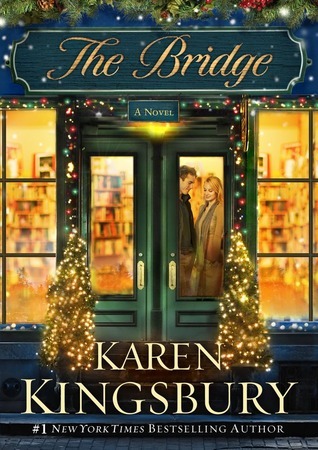 What a PERFECT gift that The Bridge would be to a booklover in your life. Pair it with a copy of Jane Eyre, and your book-lovin' friend will love you for life. Best of all, it's about the healing power of books. "A small-town bookstore would bridge the pain of yesterday to the promise of tomorrow." I was on the verge of tears -- so close! And this is only a prequel?! My goodness, I just don't know if I can make it through the novel of 'The Bridge' in one piece (probably not), but I'm ready to start reading it next. "'We prayed we'd meet people like you. Hurting people who needed God and a good book. So they'd have a chance to survive.'" Note to the discerning reader and parents: This is a clean read, but there are a couple of chapters concerning pregnancy and labor complications. Nothing graphic though. A mature 12-year-old reader could handle it. P.S. Like and vote for this review on Goodreads and Amazon (soon!). Are you sharing about any Christmas books? (on your blog, Goodreads, Instagram, etc?) Share it below!